When it comes to prom night, nothing turns heads like a red gown. The trick to rocking this look is choosing a dress that flatters your body and skin tone, while also allowing you to express your personal style. There are dozens of beautiful red dresses, including one that's perfect for you. To buy a dress that's featured, or to get more information on it, click on the 'Buy Now' link underneath the image. 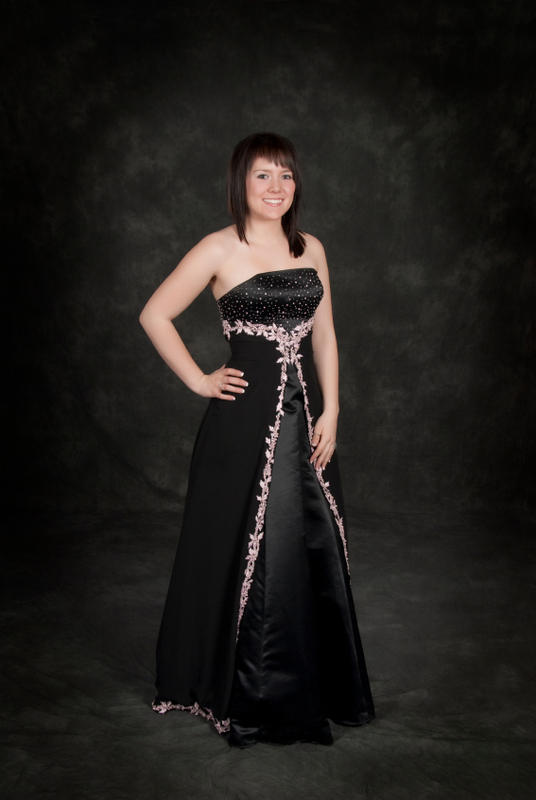 If you have a cool skin tone, a dark red prom dress can look stunning on you. Choose a deep-toned fabric with a blue undertone to flatter your complexion, such as this strapless, taffeta number from Sunvary. The empire waist looks spectacular on any body type. This gown comes in sizes 2 through 26 plus, and it retails for about $80. If your skin tone is warmer, you'll look amazing in a bright red gown with a subtle, orange undertone. Look for a dress that really makes you glow, such as this illusion-neck satin beauty from FaveBridal. The flowing chiffon fabric and a-line cut highlight your curves, while the sweeping train adds plenty of glamour. It comes in sizes 2 through 16 and retails for about $75. Prom night is the perfect time to feel like a princess, and every fairy godmother would approve of a full-skirted, tulle gown in beautiful red. This strapless sweetheart gown from US Fairytales is a vibrant shade of red and features sparkling beading on the bodice and skirt. It comes in sizes 4 through 20 plus and retails for about $300. If you prefer sleek and simple, there are plenty of dresses that will look fantastic on you. This modern chiffon gown has a strapless neckline, flowing skirt, and flattering empire waist. The high slit in the skirt lends a flirty feel, and the chiffon fabric is light and flowy. This gown comes in sizes 4 through 20 plus and retails for just under $100. Choosing a short, classic silhouette will let the red color of your gown take center stage and provide a great base for fun accessories. This beautiful, knee-length dress from Dresstells has a pretty bateau neck and full skirt that will add curves to a straight body type. Available in sizes 2 through 28 plus, this gown retails for about $110. When it comes to red dresses, you don't have to stick to solid fabrics. If you're looking for something unique, try a print design, such as this pretty strapless gown from Kingmalls. The simple, flowing gown features an all-over design of silver sequin mesh in a geometric floral pattern. It comes in sizes 0 through 12 and retails for about $325. Ruffles and draping add a touch of elegance to a unique red, evening dress. This one-shoulder, chiffon gown from Ever Pretty, has a universally flattering a-line, a simple sheath silhouette, and a slimming gathered bodice. It comes in sizes 4 through 16 plus and retails for about $75. If you're interested in something more modest, try a style that features sleeves. This beaded red chiffon dress from Ever Pretty has sparkling cap sleeves and a modest neckline. The cinched waist flatters everyone, and the subtle beading adds personality. It comes in sizes 4 through 16 and retails for just around $80. Sometimes a little sparkle is what it takes to make your prom night unforgettable. An all-over sequin gown in dramatic red is sure to glitter on the dance floor. This spectacular gown from Dapene has a simple, sheath silhouette that pools on the ground in a dramatic train. The dress is designed to accent an hourglass shape. The gown is custom made and retails for less than $200. Red takes on a deeper, darker feel when paired with sleek black. In this stunning dress from Ever-Pretty, a slim, floral red skirt is topped with a black satin, bustier-style, strapless bodice. A rhinestone-embellished belt adds a bit of extra sparkle to the waist. This figure-slimming style is perfect if you have an hourglass body type. It comes in sizes 4 through 16 and retails for $60. If you're looking for a fun and flirty dress, consider going with this strapless, short number. Glitter and lace add extra sparkle. Available in sizes 0 through 12 this dress retail for under $100. Whether you're looking for something sophisticated or need a funky prom dress to make a major statement, you can the perfect gown in red.